Another 'Lost Weekend' In Vexillology is upon us! This time I'm heading back down to South America to a country whose history continues to intrigue me- the more I dig, the more fascinated I become. 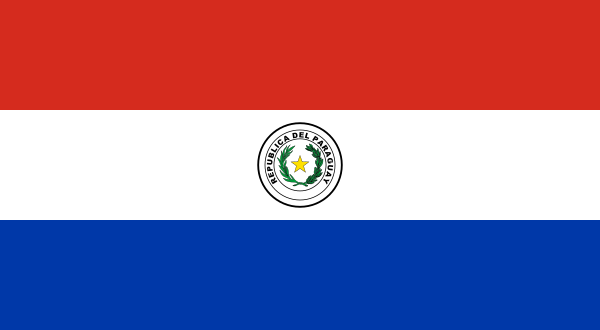 Yes, This Week In Vexillology it's the flag of Paraguay! Before we get to the flag, we've got to break down Paraguay a little bit. The more I read about the place, the most interesting it becomes. For instance, it's first ruler, Jose Gaspar Rodriguez de Francia wanted to build an utopian society based on Rousseau's Social Contract so he imposed a rigid isolation on Paraguay and things got weird after that. 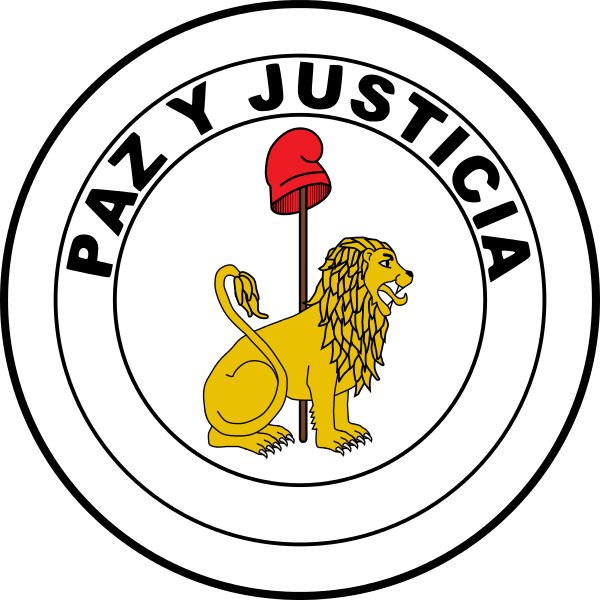 (His political police, apparently: Pyragues or, 'hairy feet', Spaniards were banned from marrying each other in 1814- and the list goes on from there.) 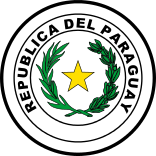 Paraguay has been involved in two wars- including Latin America's bloodiest, The War of The Triple Alliance and more recently, the Chaco War in the 1930s with Bolivia. It was after The War of The Triple Alliance that then US President Rutherford B. Hayes helped secure the independence of Paraguay- there's a town and I think a department named after him down there- which is I don't even know. The most utterly random thing, ever? I don't think most Americans could tell you much about President Hayes except that well, he was a President and will forevermore get mentioned along with George W. Bush and Donald Trump as people who won the electoral vote and lost the popular vote. But in Paraguay: he's kind of a big deal. The back is the Seal of the Treasury which features a golden lion with a Phrygian Cap and the motto 'Paz Y Justicia' or, peace and justice. Let's talk about the Phrygian Cap! This damn cap pops up all over the place in the flags and coats of arms of Central and South America and the first time around with a lot of these flags I hadn't the faintest idea why. I chalked it up to one of those regional design similarities- like the green-yellow-red color scheme you see in a lot of the flags of Africa. Happily, thanks to the Revolutions Podcast some historical context is in order. You see, during the French Revolution the Liberty Cap emerged as a popular symbol of the Revolution and it spread- though the actual Wikipedia entry for the Phrygian cap mentions that this cap is often confused with the pileus, which was the felt cap of the freed slave of Ancient Rome. But either way- it blew up in the French Revolution. They were all about it- and, as extensive listening to the podcast is demonstrating, everything's connected somehow. France's Revolution lead to Napoleon, who eventually invaded the Iberian Peninsula, threw governments of both Spain and Portugal into chaos and (though I'm not to that part in the latest round of podcasts) either helped break open the growing seeds of revolution or helped ferment them even further, I'm not sure. Whatever the reason, the French Revolution had a tremendous impact on the revolutionaries of Latin America as they fought for independence from Spain. 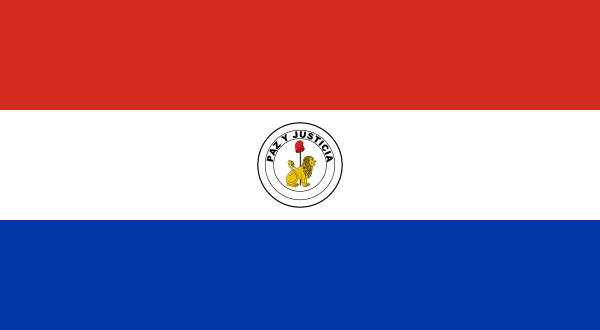 So, that's a deeper dive into the intriguing nation of Paraguay and it's flag. Remember, until next time, keep your flags flying- FREAK or otherwise!